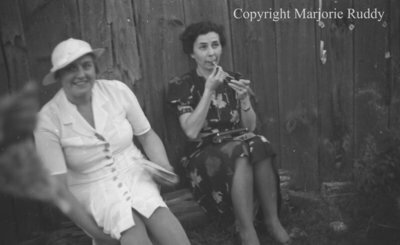 A black and white negative of two unidentified women sitting down with their backs against a wooden building. In this view the woman on the right is applying lipstick. Church Party, June 20, 1938, Marjorie Ruddy. Whitby Archives A2013_040_941D.